Earlier this week a plant in Yancheng China exploded, killing a dozen, injuring even more. This most recent explosion at a Chinese plant has been a growing trend in recent years for plants in Red China. The CNN report notes "the lack of safety standards" that has resulted in numerous explosions over the years. In 2016, a Wanhua plant exploded, killing 4 people and injuring even more. These plants have a history of weak safety standards, failed reports, and "management failures." If this name, Wanhua, sounds familiar, that's because it is. Remember when we here at Cajun Conservatism reported on the bailout money at taxpayer expense being sent to the Chinese government by Gov. John Bel Edwards and warned about this? Well, this is the company we were talking about. Again, why are we financing, at taxpayer expense, foreign corporation with a blatant disregard for the safety of their employees and the surrounding area? Posted on March 22, 2019 by Christopher J. Gary and filed under John Bel Edwards and tagged John Bel Edwards China. I read with interest the article by Elizabeth Crisp published in the March 20 edition of The Advocate to the effect that Republican gubernatorial candidates had begun “sniping” at each other. Her article was based on statements contained in an out-of-state conservative blog calling out one of our candidates for remarks he made in 2016. Now I am not implying that I agree with the thesis of Ms. Crisp’s article, nor do I take a position on the underlying allegations contained in the blog. However, I do think it is an appropriate time to remind our candidates that the one essential imperative of this campaign season is to defeat John Bel Edwards. The 2015 campaign is not very distant in our collective rearview mirror, and the three year, ten legislative session nightmare under the Edwards administration is an ever constant reminder of the danger of Republican infighting. Let us not forget that taxes have been raised by $7,000,000,000; the promised government reform has not even been attempted. The state is going broke because of a botched Medicaid expansion. Our citizens are leaving Louisiana at an accelerating pace, and all the while we rank dead last or approach ever nearer the bottom in every state ranking due to high unemployment and low economic growth. Yet John Bel Edwards has the temerity to call the last three years a success. This amounts to an unintended but frank admission that he has no vision for a second term other than still higher taxes and fees, which we would soon enough be called upon to deliver if he were to be re-elected. Our state is slowly dying, and the Governor has no remedy which will not accelerate the decline. Our Republican candidates must wage this campaign in the knowledge that Republican infighting only assures a second victory for John Bel Edwards, and we must not let that happen! Issues and policy disputes are legitimate matters for the political arena; irrelevant or misleading articles and personal attacks have no place in this contest. Let us hope that our Republican candidates will confine themselves to the crucial issues which will define our future. The Republican Party of Louisiana wishes them well and appreciates their sacrifices, but the party will not permit a reprise of 2015. Posted on March 21, 2019 by Christopher J. Gary and filed under LAGOP, John Bel Edwards and tagged LAGOP John Bel Edwards. The liberal bias is shining brightly at The Gambit, a New Orleans newspaper befitting fish wrap rather than news. 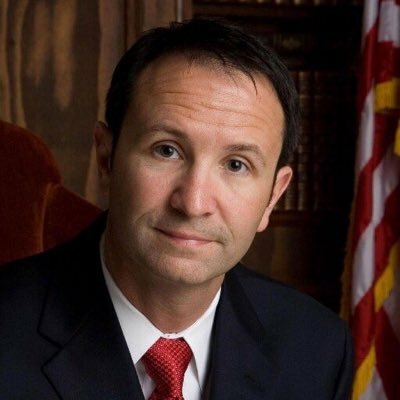 Attorney General Jeff Landry has repeatedly called for the rule of law to be followed in the State of Louisiana. Yet, when a hearing on the death penalty was recently conducted in Baton Rouge and family members of victims were allowed to testify, The Gambit called it a stunt on Landry's part and contrasted it to the "bold statement" from Gov. Gavin Newsom in California, who ordered a moratorium on executions in that state. What fair-minded reporting. The truth of the matter is that "Honor Code" John Bel Edwards has repeatedly decided to bypass both the legislative branch of government and the will of the people of Louisiana. The Gambit would have you believe that these executions are not being done because the drugs used in the procedure are not available. Hogwash. There are a plethora of drugs available for the state's use in carrying out justice for victims and their families. The truth of the matter is that the governor refuses to use these drugs and is pandering to the left. And he's doing this at the expense of the people of the state that desire to see justice finally carried out. But, don't blame me. I voted for David Vitter. 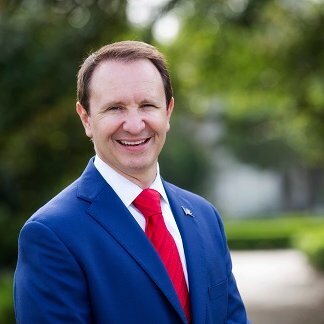 Posted on March 16, 2019 by Christopher J. Gary and filed under Jeff Landry, John Bel Edwards, Louisiana and tagged Jeff Landry John Bel Edwards Death Penalty Louisiana. While Governor John Bel Edwards was singing his own praises during last week’s business summit, the U.S. Bureau of Economic Analysis was proving that Gov. Edwards sang too soon. According to a recent article in the Business Report and Hayride, Louisiana’s gross domestic product only increased by 1.9 percent in the third quarter, placing the state’s GDP growth among the slowest in the nation. By way of comparison, other states in our region such as Alabama, Georgia, Tennessee, and Florida all saw an increase in GDP ranging from 2.7 percent to 3.8 percent. So much for Louisiana being better off under Governor Edwards, as he again proclaimed in his latest campaign ad. During the Governor’s “business summit” (or should we say his campaign event), he claimed that Louisiana “has made a lot of progress” and that “our economy is growing, [and] deficits have been turned into surplus…”. Governor Edwards, if that is the case, why did the U.S. Bureau of Economic Analysis report place Louisiana 44th out of the 50 states in economic growth? So as Governor John Bel Edwards concludes his self-congratulatory business summit, let’s remember the plain truth: Louisiana’s economy isn’t doing very well under his administration, and the only thing growing in Louisiana is our taxes! Posted on February 28, 2019 by Christopher J. Gary and filed under John Bel Edwards, Louisiana, LAGOP and tagged LAGOP John Bel Edwards louisiana. (Baton Rouge, LA): Monday, February 25, 2019, the Republican Party of Louisiana submitted a public records request for any and all correspondence related to closed-door meetings reportedly hosted by Democrat Governor John Bel Edwards with business leaders. A copy of the request can be found here. According to a recent report by The Associated Press, Governor John Bel Edwards’ spokesperson Christina Stephens stated that the governor has been hosting “closed-door meetings with business leaders since 2017,” culminating his so-called business summit this week that appeared to be nothing more than a taxpayer-funded campaign event. Posted on February 25, 2019 by Christopher J. Gary and filed under LAGOP, Louisiana, John Bel Edwards and tagged John Bel Edwards LAGOP Louisiana. The long-heralded Louisiana Statewide Business Summit has ended in a cloud of self-congratulatory remarks by John Bel Edwards. Per the Governor, just like LSU’s football team, the state is fresh off a big victory. The big victory eludes us, however. In actuality, the Governor’s summit primarily consisted of administration officials and certain well-heeled campaign contributors, along with a few legitimate industry leaders for visual effect. Strangely and for reasons unknown, outsiders found it impossible to obtain admission to the event, even when inquiries were made soon after the summit was announced. But back to the Governor’s closing remarks; Edwards’ touting of great gains in industrial growth and jobs under his administration must be seen as the second act of his re-election narrative. Surely, the first act must have been his blustering speech at the end of the third and final 2018 legislative session, and then regurgitated today to the effect that the fiscal problems of the state have been solved. (They have only been resolved possibly for this election year, to no one’s surprise.) The Governor’s re-election narrative would make for a mirthful comedy if it were not for the tragic consequences of his administration’s three-year fixation on higher taxes and fees to solve this state’s terrible fiscal problems. HIGHER SALES TAXES: For the sake of clarification, the Governor did not reduce our sales taxes, despite his claims to that effect- he merely replaced a temporary tax with a lower permanent one and falsely took credit for reducing taxes. The real effect will be to raise taxes beyond the short term. Higher sales taxes discourage industrial growth, and our sales taxes are the highest in the nation. Certainly, there are no industry or job gains to be had here. HIGHER BUSINESS TAXES & FEES: John Bel Edwards’ administration has raised taxes and fees on businesses faster than any other state in the last three years. This is an absolute disincentive for industry to locate or expand in Louisiana, and a job killer in the bargain. GIVING LOCAL GOVERNMENT CONTROL OVER THE INDUSTRIAL TAX EXEMPTION PROGRAM (ITEP): This eighty-year-old program gave industries that moved or expanded their operations in Louisiana an exemption from paying local property taxes on their manufacturing facilities which lasts up to ten years. Additionally, John Bel Edwards foolishly gave local government bodies, down to the school board level, the ability to nix these exemptions that were originally designed to partially offset all the disincentives existing elsewhere in the statutes and tax code. The largest employer in the state (Exxon/Mobile) just lost a tax exemption because of the objections of a local school board, resulting in a loss of investment in Louisiana. More projects will no doubt fall prey to various socialist-progressive, anti-business, small-time political news-hounds. Well done, Governor, if that was your intention to chase industry and jobs out of Louisiana! And these are just his signature “achievements” to date. Don’t forget all of his other attempts to raise taxes, which only failed due to Republican opposition. Going forward, we are advised that the Governor plans to introduce legislation to raise the gas tax (certainly not an incentive to attract industry and jobs), and to greatly increase the state’s minimum wage (an absolute job killer especially damaging to less experienced and currently unemployed workers). So here we are as we begin our fourth year under the John Bel Edwards’ administration: Higher than average unemployment, lower than average job growth, a declining population, the highest sales tax in the nation, extremely high business fees and taxes, the worst performing government in the nation by almost all metrics, and no possibility of real reforms being implemented under this Democrat Governor. If John Bel Edwards wants to take credit for these economic “achievements” of the last three years, so be it! Posted on February 22, 2019 by Christopher J. Gary and filed under John Bel Edwards, LAGOP, Louisiana and tagged John Bel Edwards louisiana LAGOP.